I recently finished this two-story great room for a wonderful couple who wanted a cozy, kid-friendly family room with style. Before - This family room lacked warmth with sparse seating and walls. After - A larger, family-friendly couch and a fun ottoman for tired feet. Before - Sparse accessories and an illogical tv placement were uninviting. After - Fun accessories and a centralized television make for memorable family movie nights. Before - This grand living room fell flat on character and warmth. 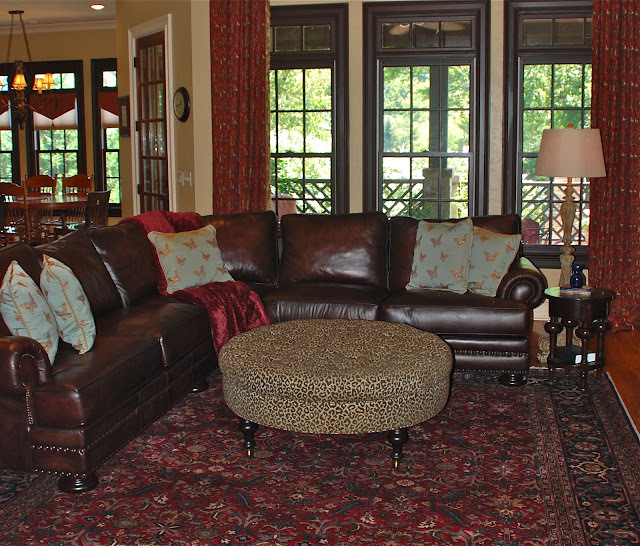 After - New furniture and pleasing colors transformed this living area from blah to BAM! Before - Empty walls were begging for some decor. After - Antique panels and colorful accessories brighten up the walls.